everything in between, including snakes. Just because these animals call Florida home, doesn’t mean you should have to share your property with them. Not only are some snakes venomous, but they can cause problems and are unpleasant to stumble upon. Do You Have Snakes on Your Property? Snake skins – Snakes periodically shed their skin when they come out of hibernation in the springtime. Finding one of these skins is a strong indicator that you should call Critter Control®. Winding trails in the dirt outside – If you have loose dirt on your property, be on the lookout for winding or zig-zagging trails. Snakes move along the ground like an accordion which leaves distinct markings behind. 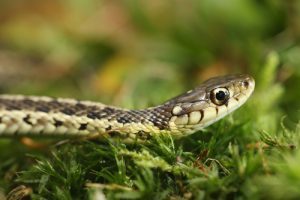 Finding a nest – Snakes typically build a nest to lay their eggs in the late summer or early fall. Don’t disturb the nest, but call a professional to help remove it humanely instead. Removing snakes from your home or property on your own can lead to unnecessary risk. Safely and completely removing these slithering creatures requires specialized training and equipment to keep both the snakes and your family safe. The best way to handle a snake problem is to contact Critter Control® of West Palm Beach. We’ve been helping homeowners all over the area for more than 30 years. Call us today at 561-274-0224 to learn more about our snake removal services or to schedule a consultation.